Craft a birthday “cake” using nothing but fruit! Simplify, Live, Love shows you how to create a “cake” out of layers of watermelon, cantaloupe and honeydew melon. DrGreene.com constructed a cake entirely out of watermelon. 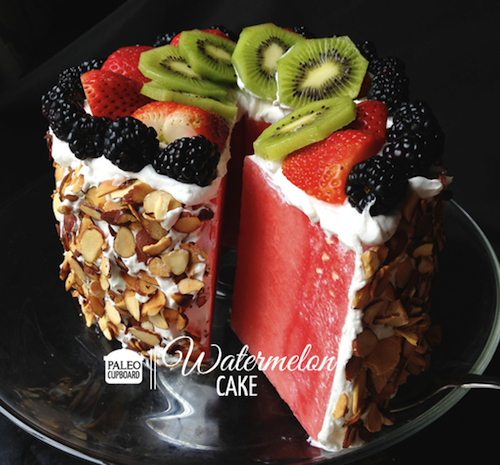 Paleo Cupboard also created a watermelon cake but covered it with a layer of coconut milk and honey “frosting.” Engine 2 shows some creative ideas for decorating your watermelon cake with different types of fruit. The Disney Baby blog shows you step-by-step directions for putting together an impressive watermelon cake. Snapguide created a beautifully-decorate fruit pie. I love how Jennifer on Kidspot used cookie cutters to create fruit shapes to decorate her watermelon cake. Chocolate Zucchini Cake. Photo courtesy of Baltic Maid. What is even healthier than fruit? Vegetables! These cakes are the perfect way to sneak some healthy veggies into baby’s birthday cake. 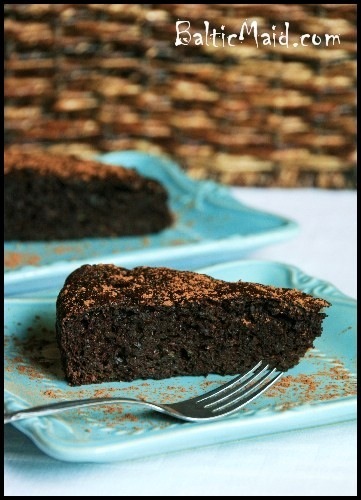 This healthy chocolate cake by Baltic Maid uses zucchini, applesauce, whole wheat flour and honey. Nom Yum & Free created a healthy, vegan, whole wheat and refined sugar-free cake using zucchini, carrots, pineapple and flax seeds. This cake from Here We Go uses only sweet potato, oats, juice and baking powder! And of course carrot cake – done here with whole wheat flour, applesauce, apple juice and wheat germ. Pancake Stacks. Photo courtesy of Modern Parents Messy Kids. What is better than breakfast for dinner? Breakfast for a birthday cake! This crepe cake with strawberry jam and berries looks beautiful and tasty! 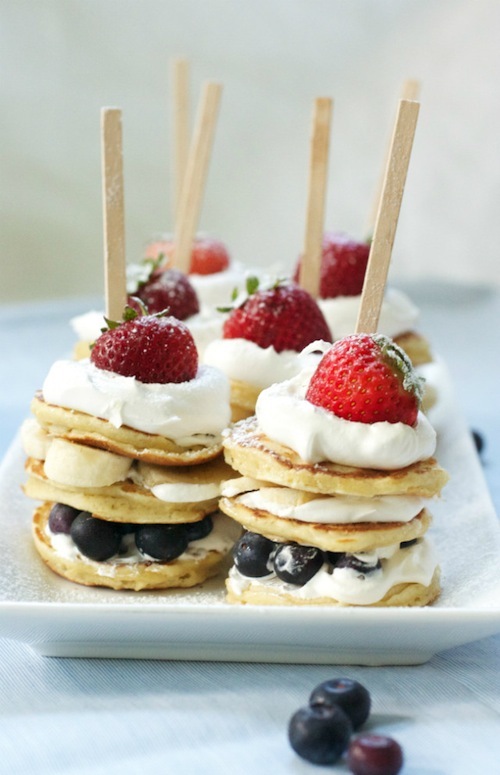 Modern Parents Messy Kids featured mini stacks with layers of tasty pancakes, blueberries, strawberries, bananas and whipped cream. 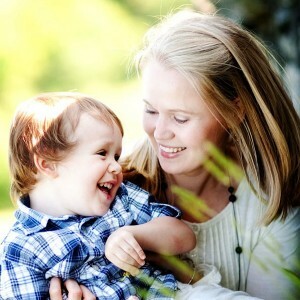 I love how kid-friendly and portable these are! Tastebook features another yummy crepe cake recipe using Meyer Lemon mousse and candied lemons. Healthy Banana Cake. 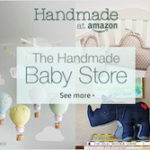 Photo courtesy of Oh Everything Handmade. 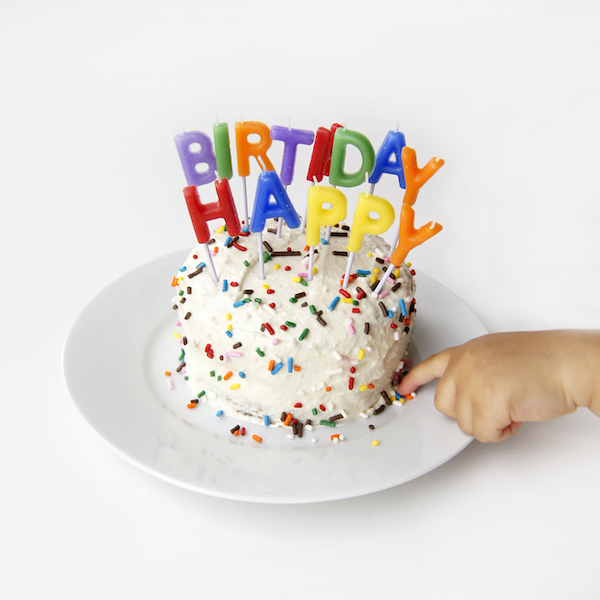 Banana Bread, apple bread and other sweet breads make yummy and healthy first birthday cakes. Oh Everything Handmade created a drool-worthy banana birthday cake using whole wheat flour and cinnamon applesauce. Smitten Kitchen shared a recipe for Whole Wheat Apple Muffins that could easily be adapted to create a cake. And the Roasted Strawberry Muffins from Annie’s Eats would make an amazing spring baby birthday cake. Simple Bites created an Apple Spice Cake with maple syrup and coconut oil for baby’s birthday. 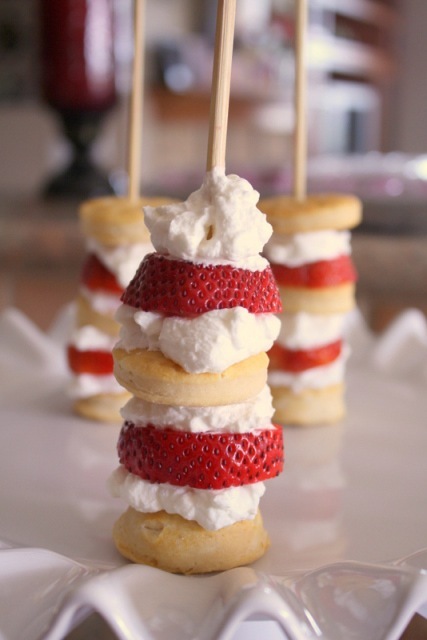 Strawberry Shortcake Skewers. Photo courtesy of Karen in the Kitchen. Of course, if you don’t fancy vegetables or pancakes in your cake and prefer the more traditional route, healthier options are available as well. Just make sure to choose organic ingredients and minimize your use of sugar. 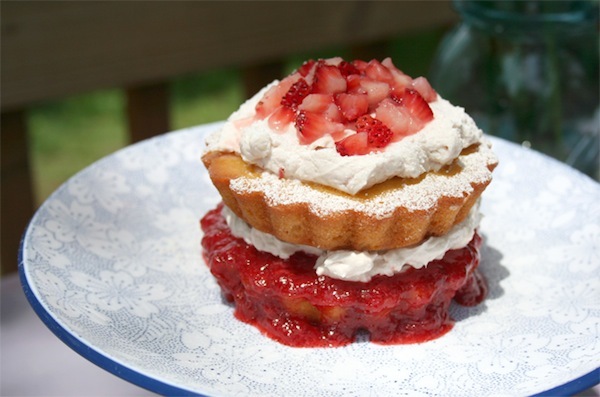 My Humble Kitchen offers a great option with a naturally-sweetend lemon cake with strawberry spread and Italian meringue icing. And Karen in the Kitchen created gorgeous strawberry shortcake skewers that are sure to delight both babies and adults! Naturally Sweetened Lemon Cake with Strawberries. Photo courtesy of My Humble Kitchen. I will post pictures soon of how the cake and the party turned out! For more birthday cake ideas for baby’s first birthday, check out my Pinterest board.